Online video plays a critical role in today’s digital marketing strategies for engaging with consumers. With a majority of U.S. web users regularly watching video, the potential for online video is clear: It can effectively drive clicks and conversions, turning casual consumers into loyal customers. Conversion is one of the most powerful and easily measurable benefits of video. 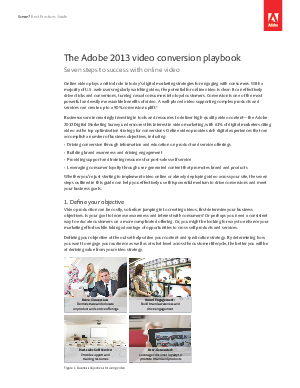 A well-placed video supporting complex products and services can create up to a 90% conversion uplift.